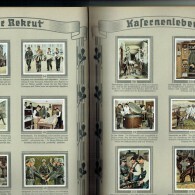 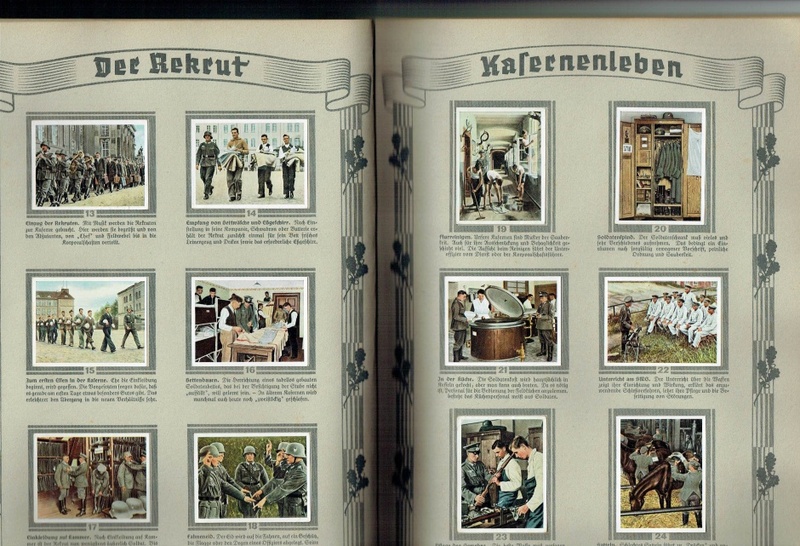 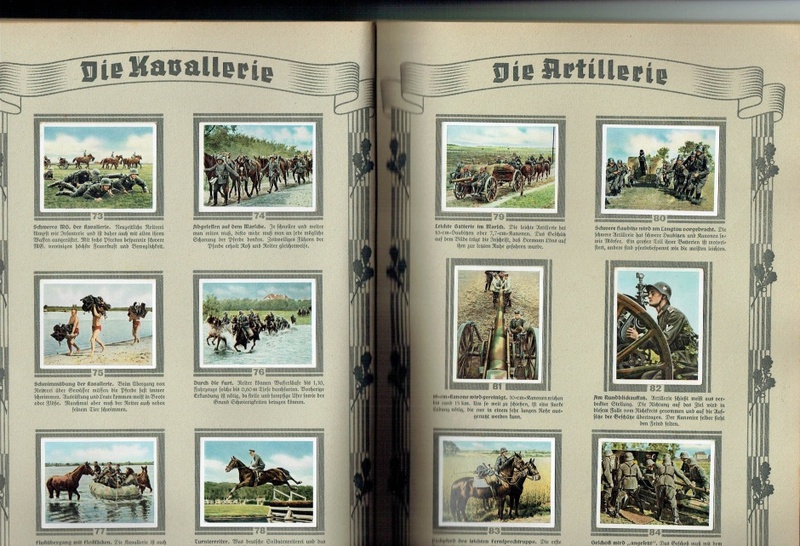 Full set of 270 cigarette cards about the NAZI German military. 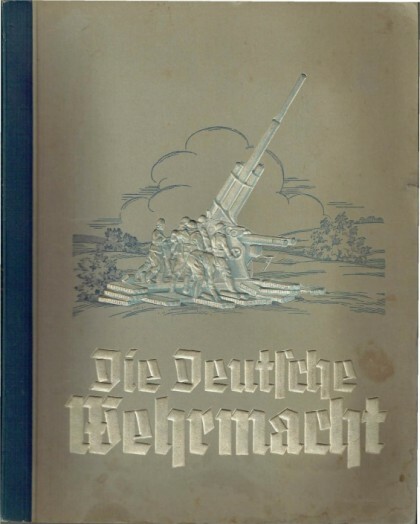 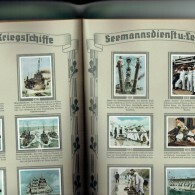 60 pages with description underneath each card and extensive text that also includes colored page, front and back that displays insignias and other identification for German military. 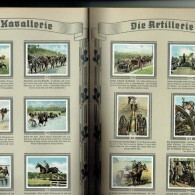 The cards were created by Cigaretten Bilderdienst Dresden. 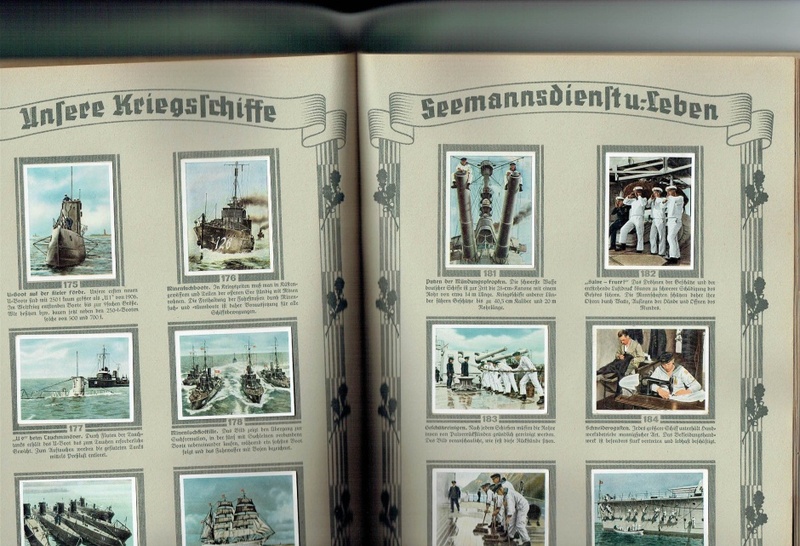 The cards are affixed to the pages within an album. Excellent condition.